This is an ideal time to heighten awareness of the magnificence of these sacred places, as is so vividly accomplished by the authors of Detroit's Historic Places of Worship. 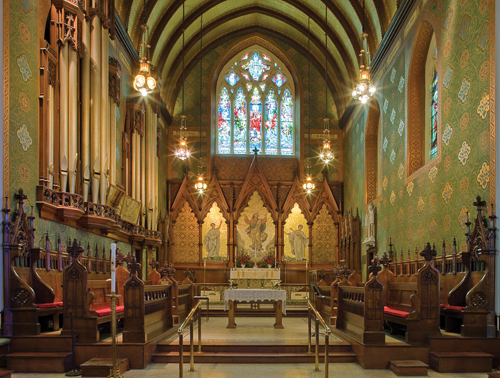 In Detroit's Historic Places of Worship, authors Marla O. Collum, Barbara E. Krueger, and Dorothy Kostuch profile 37 architecturally and historically significant houses of worship that represent 8 denominations and nearly 150 years of history. The authors focus on Detroit's most prolific era of church building, the 1850s to the 1930s, in chapters that are arranged chronologically. Entries begin with each building's founding congregation and trace developments and changes to the present day. Full-color photos by Dirk Bakker bring the interiors and exteriors of these amazing buildings to life, as the authors provide thorough architectural descriptions, pointing out notable carvings, sculptures, stained glass, and other decorative and structural features. 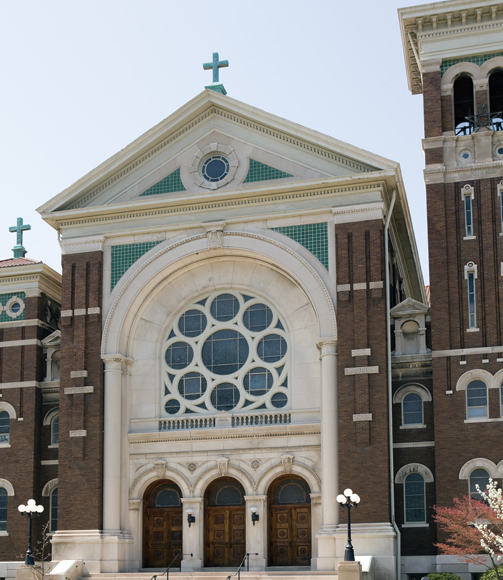 Nearly twenty years in the making, this volume includes many of Detroit's most well known churches, like Sainte Anne in Corktown, the Cathedral of the Most Blessed Sacrament in Boston-Edison, Saint Florian in Hamtramck, Mariners' Church on the riverfront, Saint Mary's in Greektown, and Central United Methodist Church downtown. But the authors also provide glimpses into stunning buildings that are less easily accessible or whose uses have changed-such as the original Temple Beth-El (now the Bonstelle Theater), First Presbyterian Church (now Ecumenical Theological Seminary), and Saint Albertus (now maintained by the Polish American Historical Site Association)-or whose future is uncertain, like Woodward Avenue Presbyterian Church (most recently Abyssinian Interdenominational Center, now closed). Appendices contain information on hundreds of architects, artisans, and crafts-people involved in the construction of the churches, and a map pinpoints their locations around the city of Detroit. 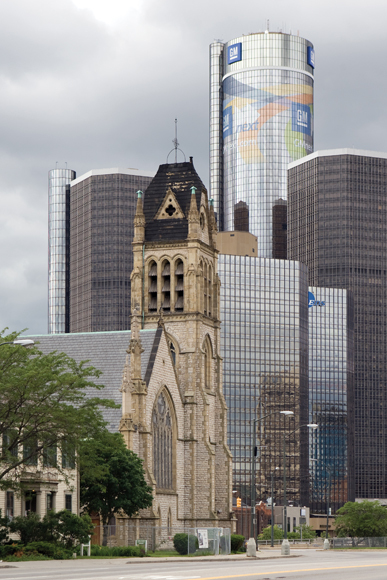 Anyone interested in Detroit's architecture or religious history will be delighted by Detroit's Historic Places of Worship. Marla O. Collum is grants manager at the National Trust for Historic Preservation in Washington, DC. From 1998 to 2008 she was the historic review officer for the City of Detroit Planning and Development Department and also served on the board of directors of the Michigan Historic Preservation Network for six years during that time. She has an MS in historic preservation from Eastern Michigan University. Barbara E. Krueger is a graduate (MS) of Eastern Michigan University's historic preservation program. Krueger is a research associate (folk arts) with Michigan State University Museum's Michigan Stained Glass Census, a past president of the Hartland Area Historical Society, and a founding member and board member of the American Glass Guild. Dorothy Kostuch was a longtime instructor of art history at the College for Creative Studies in Detroit (formerly the Center for Creative Studies), who died in 2005 after a long battle with cancer. Kostuch received a PhD in art history from Columbia University and traveled extensively through Europe to visit architecturally significant buildings. 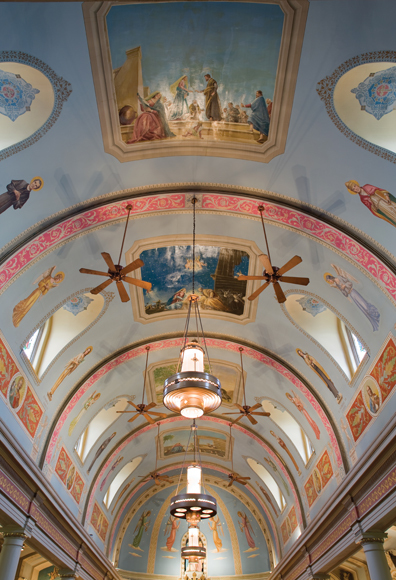 Her expertise in art history and medieval architecture led her to teach a course on historic Detroit churches and spawned the beginnings of this book project. 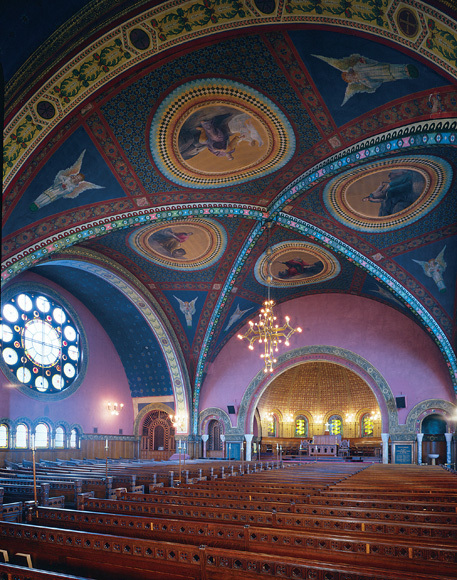 What Dorothy Kostuch, Marla Collum, Barbara Krueger, and Dirk Bakker have done is preserve in words and photographs many of the best examples of Detroit's houses of worship. Dr. Kostuch, Ms. Collum, and Ms. Krueger blend social and historical background with a precise command of architectural detail. The numerous photographs by Mr. Bakker amply show the care and creativity Detroiters lavished on these buildings. 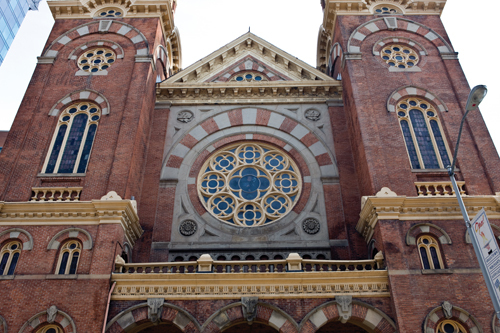 Churches and synagogues have played a crucial role in Detroit for generations, providing vital community services that hold together entire neighborhoods in stability and relative peace, despite the challenges of an economically and racially divided urban environment. Many of these sacred places are of unique architectural and historic significance. Detroit is currently undergoing an unprecedented phase of new development, particularly along the Woodward corridor. New investments are flowing into the area, and new jobs are being created. 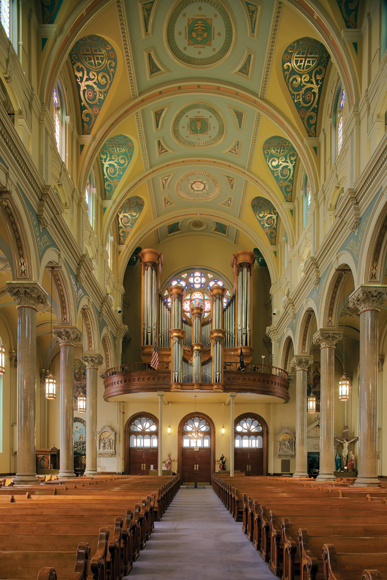 This is an ideal time to heighten awareness of the magnificence of these sacred places, as is so vividly accomplished by the authors of Detroit's Historic Places of Worship. 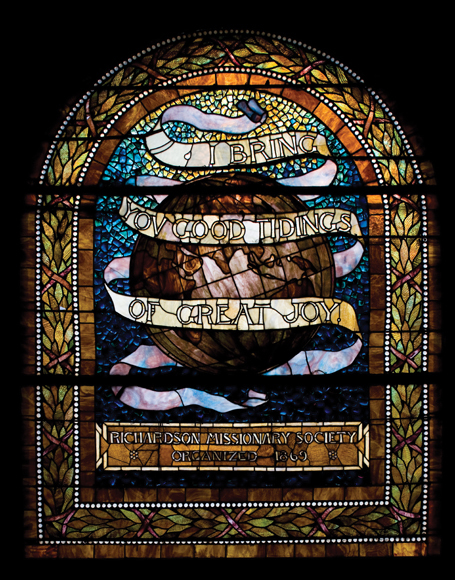 Detroit's Historic Places of Worship, the most comprehensive chronicle of the city's historic churches, has been 20 years in the making, and all that time and work shows. . . . Compiling such a work requires considerable dexterity and balance. Every house of worship profiled has something to delight both the armchair historian and the aesthete. When the city declined and shrank, many places of worship closed or relocated to the suburbs. 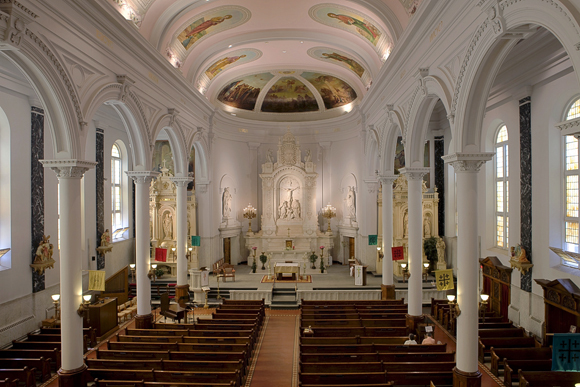 But even so, there are many open churches today that merit praise as architectural wonders. That's precisely what a new and important book, Detroit's Historic Places of Worship accomplishes. Spectacularly photographed by Dirk Bakker, the volume also includes informative text on 37 houses of worship. 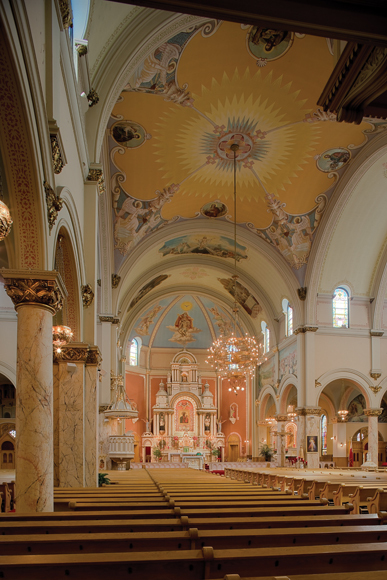 With a focus on architecture from 1848 to 1950, Detroit's Historic Places of Worship provides in-depth descriptions of 37 [ . . .] structures. Complementing the text are photographs that illustrate the interior and exterior details of these buildings. The informative narratives give equal time to the patrons, architects, and craftsman along with the architecture, decorative art, and craftsmanship itself. 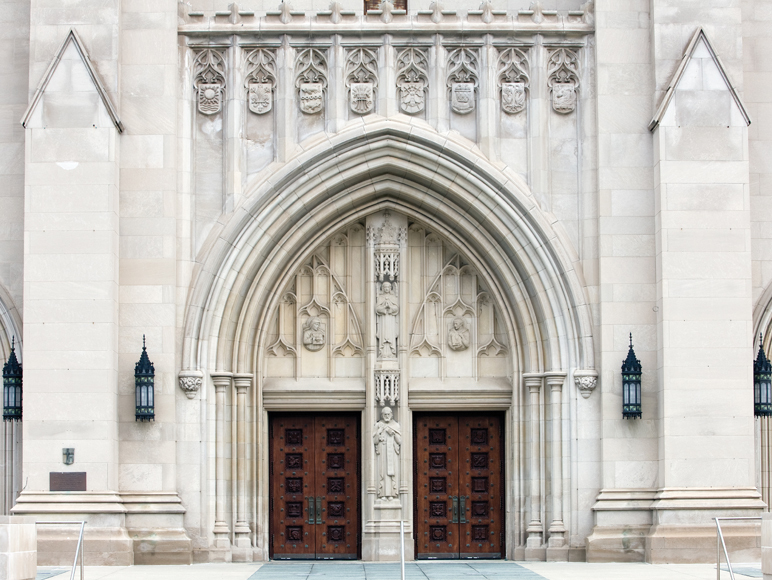 One can imagine accompanying the celebrated historian, Dr. Dorothy Kostuch, as she delivers her sermons through an architectural tour of the city.